Betty was born on Dec. 13, 1933 in Seattle to Thomas and Margaret Gemmill. The Lord peacefully called her home into his welcoming and loving arms on Jan. 16, 2010 at the age of 76. Betty was a loving wife, mother, sister, grandmother and friend to all and will be dearly missed. 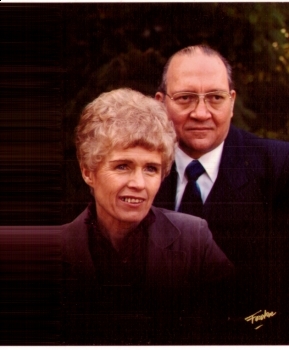 She is survived by her husband of 57 years, Lloyd Wolfe; sisters Joyce McCall (Charlie) and Kathleen Stremick (Dennis); sons Robert (Elizabeth) Wolfe and William (Melanie) Wolfe; daughters Elizabeth Winkler and Bernadine Pagnac (Coley); 7 grandchildren, Chad Pagnac, Kristen Pagnac, Rebecca Winkler, Oliver Wolfe, Aaron Wolfe, Sarah Brown and Tiffany Brown and one great-grandchild, Austin Brown. Betty graduated in 1952 from Cleveland High School and was married one year later. She spent her early married years in Portland, OR, Libby MT, Federal Way, WA, Bridgeport, WA, Saudi Arabia and came back to settle in Seattle in 1981. Betty was a great seamstress and her talent ranged from sewing doll clothes to gowns, to quilting baby blankets for homeless mothers-to-be, a wonderful cook and a fantastic hostess to countless family gatherings and meals over the years. Betty loved her time with friends over doughnuts after mass, as well as church spaghetti dinners with long-time friends. She was the focal point and nucleus of her family and anyone who knew her knows that she had a gift of gab and the ability to engage in a conversation regarding any subject. She made friends easily and was able to make everyone feel welcome while in her presence. She has always been very active in the Catholic Church and was well prepared for the end when she planned to meet her maker. A Rosary will be said at 10:15 a.m. followed by a Funeral service at 10:30 a.m. on Tues. Jan. 26 at Sacred Heart Catholic Church, 205 2nd Ave. N. in Seattle. Inurnment will follow with family and friends at Holyrood Cemetery. You are in our thoughts everyday and we miss you very much. We cherish the memories of our time spent with you. Jesus, as you are listening today from your home above, please take care of Betty and give her all of our love. A Rosary will be said at 10:15 a.m. followed by a Funeral service at 10:30 a.m. on Tues. Jan. 26 at Sacred Heart Catholic Church, 205 2nd Ave. N. in Seattle, WA 98108.